Considering the introduction of the Poster Session (September 5, between 12,30-13,00), we bring to the attention of our colleagues who are possibly interested in participating with a poster paper, details of the poster. Poster size: 120 cm high / 90 cm wide. The content of the paper must respect the general structure: Introduction, Materials and Methods, Results and Conclusions. The Scientific Committee retains the right to decide how the paper should be presented, informing the authors about this issue. “The Prevention Committee of ISCoS is organizing a poster competition with the theme ‘Yes We Can’, with perspective of persons with spinal cord injury. All members of ISCoS and its affiliated societies are eligible to participate in the competition. 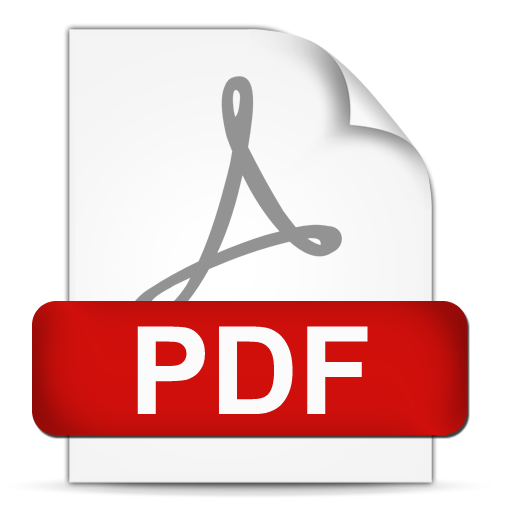 Flat art entries should be provided in a pdf file. · The posters shall be printed on A3 sheet for display at ISCoS ASM at Dublin. A panel of judges will review the posters. Entries will be judged based on two key factors: the impact the judges believe the poster will have for spreading awareness of prevention as diversity; and the skill and quality reflected in the execution. 8 shortlisted posters shall be displayed at the ISCoS ASM at Dublin from 24-26 Oct 2017, out of which three best would be selected by the judges. 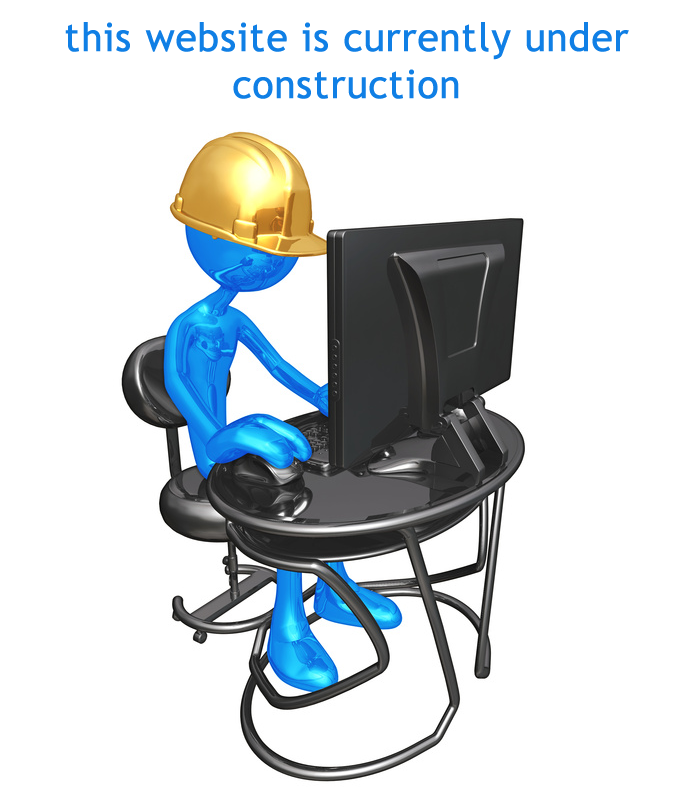 The award would be USD 250 for the winner and USD 100 each for second and third positions. Certificates will be given for all shortlisted posters. All 8 shortlisted posters will also be displayed on the website www.worldsciday.org. All poster contest submissions shall become the property of the ISCoS and will not be returned. We request all members to participate wholeheartedly in the contest. There have been, recently, since the inauguration of this official informatics support of our Society – in a new, optimized form – two years: a dense period in notable activities and achievements of academic, organizing and social, kinds, of the RoSNeRa. The actual anniversary moment is thus, suitable for a stage review and – taking into account also the up-coming ”9th World Congress for NeuroRehabilitation”, to be held between the 10-13th of May, 2016, in Philadelphia/ the USA – I reckon appropriate, within this newsletter, a remind of the main endeavours of the RoSNeRa, over this time, and also the pointing-out of this related objective, ahead, that is considered by our Society. Hence, at the end of May, 2013, the President Co-Founder of the RoSNeRa, Prof. Gelu Onose, MD, PhD, MSc, has been invited and included, as a Founder Member of the Honorary Editorial Board of the Journal of Neurorestoratology. On the 26th of June, 2013, there has been held the General Assembly, for report and elections, of the RoSNeRa – according to the statute/ constitution/ bylaw of this Society: once in 4 years – occasion on which there have been adopted important modifications to our Society’s current statute/ constitution/ bylaw and it has been elected a new Managing Council [to be seen full details about these items on the RoSNeRa web site: www.rosnera.org, at the button ”Despre noi”(About us) – sub-button: ”Consiliu Director”( Managing Council)]. Additionally, within the respective General Assembly – together with the enactment of the modifications to the statute/ constitution/ bylaw – at the Managing Council’s proposal, there have been re-elected, as Honorary Presidents of the RoSNeRa: Prof. Dr. A.V. Ciurea (România), Prof. Dr. D.F. Mureșanu (România), Prof. Dr. K. V. Wild (Germany), Prof. Dr. S. Clarke (Switzerland) and Prof. Dr. V. Hömberg (Germany). During 26 to 28th of June, 2013, it has been held, in Bucharest, ”the 2nd EUROPEAN NEUROREHABILITATION CONGRESS, in conjunction with the 3rd EUROPEAN TEACHING COURSE ON NEUROREHABILITATION” – very important academic/ didactic event, to which RoSNeRa has been co-organizer/ sponsor and scientific partner, the President of this Society, Prof. Dr. G. Onose, being speaker and respectively, Co-President of the Local/ National organizing Committee. In August, 2013, the President of the RoSNeRa, Prof. Dr. G. Onose, has been solicited, as invited speaker, by the prestigious international company for medical education: ”McCann COMPLETE MEDICAL”, to participate at the academic program ”TBI (Optimizing management in TBI)” – deployed in Mumbai/ India – occasion on which he has presented the following two lectures:”Current synthesis regarding main integrated management/ rehabilitative approaches, in patients with subacute conditions following severe central nervous system lesions – with focus on TBI” and ”Our experience on neuroprotection – including with the use of related drugs – in patients with subacute conditions following severe central nervous system (CNS) lesions, with focus on traumatic brain injuries (TBI)”. In November, 2013, RoSNeRa has participated, as institutional scientific partner and, as well, through the orally presented communication: ”The occupational therapy in Parkinson disease” (AM. 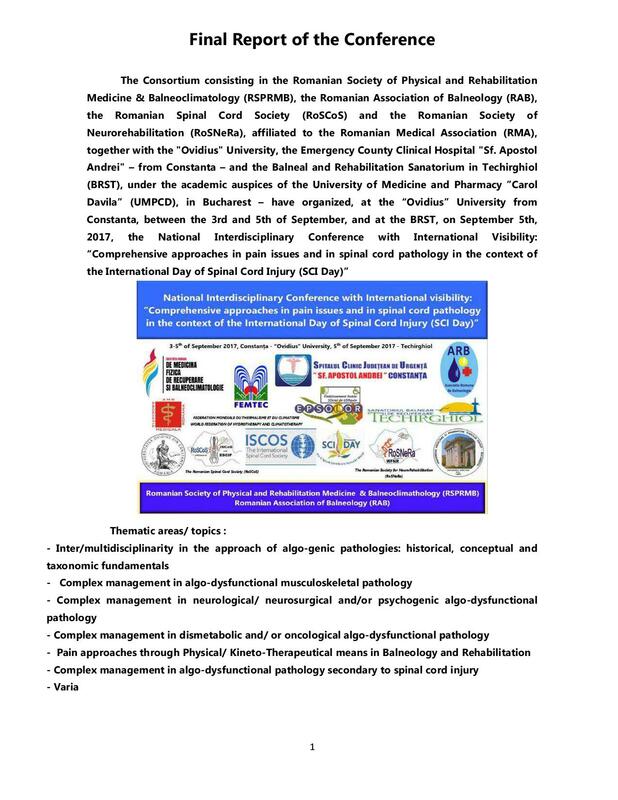 Bumbea, G. Onose, A Capisizu, D Stanca), to the conference with the topic: ”Integrated approach of the Parkinson disease” – held in Cluj-Napoca. In February, 2014, RoSNeRa – a member, including of the ”National Alzheimer Alliance” – has participated to the National Alzheimer Conference, with international participation, with the poster: ”The prevalence of diabetes in elderly patients with dementia” (co-author: Dr. A. Capisizu – Vicepresident of the RoSNeRa). In April, 2014, RoSNeRa had a very consistent and visible participation, at ”the 8th World Congress for NeuroRehabilitation”, of the World Federation for NeuroRehabilitation (WFNR), held in Istanbul/ Turkey. Our Society has been represented by: Prof. Dr. G. Onose – President –, Assoc. Prof. L. Pădure – Vice-president – and (also directly) by five more other RoSNeRa members, and it has participated with posters and oral presentations, respectively – delivered by Prof. Dr. G. Onose, as invited speaker – and Session Chairman, as well, including of the of the WFNR Special Interest Group on Spinal Cord Injury (WFNR SIG SCI) meeting, as its acting/ in office Chair, at that time. Additionally, at the respective WFNR Congress, the President of the RoSNeRa, Prof. Dr. G. Onose, has been elected member of the Committee in charge with the achievement of the 9th WCNR’s Scientific Program. In September, 2014, RoSNeRa has been co-organizer/ sponsor and scientific partner of the ”the 11th International Biophilia Rehabilitation Conference (IBRC)” – held in Sevilia/ Spain –being represented, with posters and oral presentations by Prof. Dr. G. Onose – President, including Session Chairman –, Assoc. Prof. L. Pădure – Vice-president –, Assist Prof. C. Daia – Secretary General – and (also directly) by four more other RoSNeRa members. Also in September, 2014, RoSNeRa has participated, at the invitation of the European Federation of NeuroRehabilitation Societies (EFNRS), to a meeting with the Presidents of the European Societies of NeuroRehabilitation that are members of the WFNR, held in Pavia/ Italy; although personally invited, the President of the RoSNeRa, Prof. Dr. G. Onose – attending, the 11th IBRC, in Seville, in quite the same time – has been represented there, on behalf of the RoSNeRa, by the Prime-Vicepresident of this Society: Assist. Prof. Dr. Aurelian Anghelescu. In October, 2014, there has been held, in Bucharest, the annual General Assembly of the RoSNeRa; on this occasion there have been presented and unanimously approved, by vote: the academic activity, the socio-economic and the financial- account, reports, of this Society. 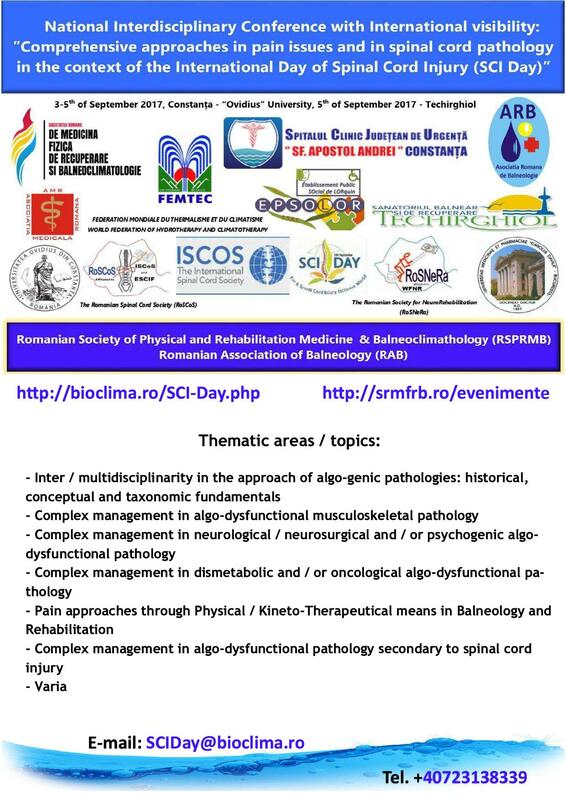 In November, 2014, RoSNeRa has participated, as official partner, at the Interdisciplinary Conference ”Novelties in the diagnostic and treatment of movement disorders”, held in Bucharest (under the auspices of the Romanian Society of Neurology). At the end of last year, according to the solicitation of the WFNR leadership, within the preparative for the 9th WCNR, Prof. Dr. G. Onose – member of the Committee in charge with the achievement of the 9th WCNR’s Scientific Program and, as well, at that time, as the acting/ in office Chair of the within the 9th WCNR WFNR SIG SCI – has elaborated, together with the vice chair, at that time, of this SIG, the common proposal for the program of the respective WFNR SIG SCI (content, structure, speakers, allocated time frames). At the beginning of June, 2015, RoSNeRa has been co-organizer/ sponsor and scientific partner of ”the 5th European Teaching Course on Neurorehabilitation – having as main organizer the Society for the Study of Neuroprotection and Neuroplasticity – the President of the RoSNera, Prof. Dr. G. Onose, being both: speaker and session Chairman within this academic event. Also at the beginning of this month, RoSNeRa received, through its President, Prof. Dr. G. Onose, the invitation, from the part of the WFNR leadership and of the local organizers of the 9th WCNR, to involve, in an unitary/ coordinated with its central and local organizers, manner, in the promotion and respectively, the participation to this WFNR event. Accordingly, the support, of the RoSNeRa – academic society affiliated to the WFNR – within its competence and capabilities’ limits, of the 9th WCNR promotion – is an objective that our Society takes into consideration for the next period. Copyright © 2019 RoSCoS. All Rights Reserved.